Yep, you read that right. 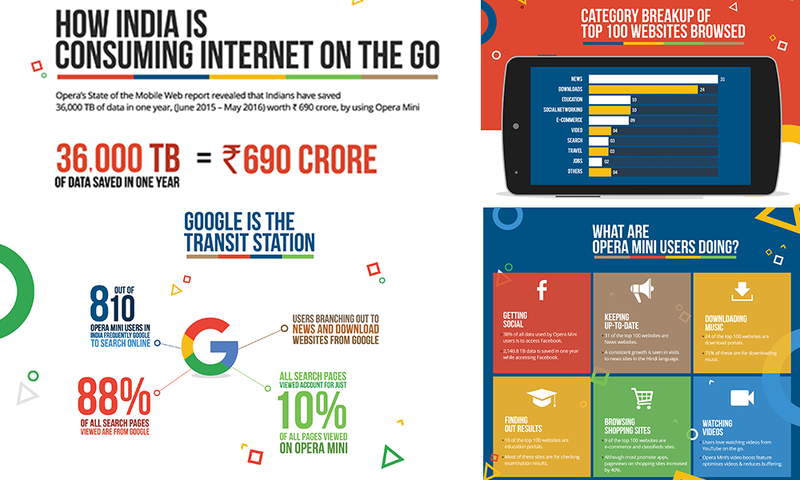 Opera Mini has helped Indian users save 36K Terabytes of data, worth Rs 6.9 billion, over the past year. Let’s put these Opera Mini data savings into perspective. With this amount of money, India could send a space probe to Mars or hundreds of villages in the country could get solar power plants to help meet their power needs. 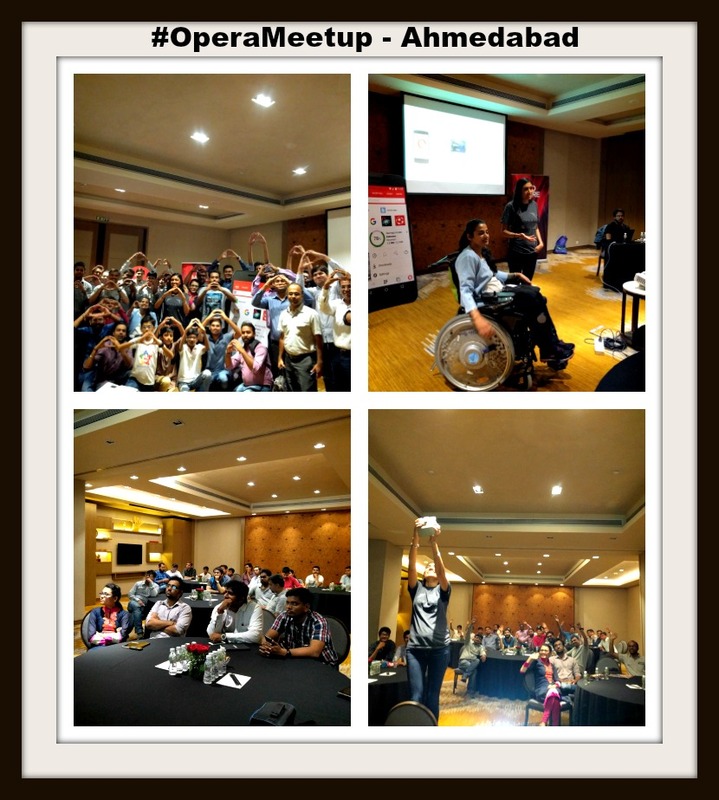 India being Opera Mini’s largest user base, this is a powerful motivation for us to keep improving our products for you. At Opera, we take data savings and fast browsing speeds very seriously. And, as part of this, we conduct ongoing research. Findings are shared in different ways, including our new, annual State of the Mobile Web (SMW) report, which includes a comprehensive analysis of browsing trends in a given region. Let’s take a look at some of the more interesting facts we uncovered in our research. Our research showed 8 out of 10 people prefer to use Google to search online. If search is the primary reason why you use your mobile browser, then, a faster browsing speed plays an even more important role. Recent speed tests in India have shown Opera Mini to be the fastest browser in comparison to Chrome and UC Browser. So, the next time you want to do a quick search online, give Opera Mini a try! It’s not much of a surprise that, of all the websites people love to visit, 55% are social-networking sites. If you are a Facebook fan who wants to be notified every time your friends share posts on your timeline, simply enable your Facebook notifications in Opera Mini, and it will alert you. Save yourself from the hassle of logging in again and again. India loves staying up to date. Here’s proof: a whopping total of 31 news websites made it to the top 100 websites that Opera Mini users love to visit. Missed catching up on daily news because of the office rush? Opera Mini has your back. It curates the best news articles right on its home page, to save you time. You can also read articles in Hindi by changing your default language in the settings. Indian users have always preferred downloading to online streaming, considering the low internet speeds in the country. Out of the top 100 websites, 24 are download portals. For hard-core music fans, smartphones are proving to be the biggest saviour. 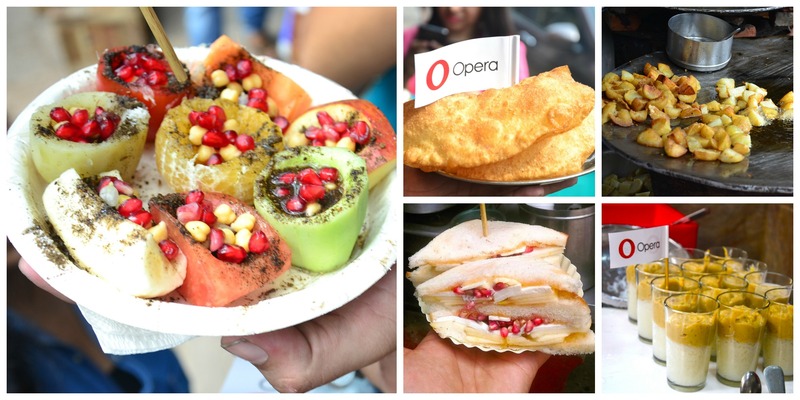 With Opera Mini, you can download songs directly from websites like djpunjab and djmaza – no third-party apps required. YouTube still reigns as the most visited website for watching videos followed by VuClip, Dailymotion and Hotstar. If you are on Android and want to save tons of data, download Opera Max to watch six-times more videos without using more data! Online shopping has witnessed immense growth across the country. Our report shows that 8% of the top 100 websites visited are e-commerce and classified websites. Some of the most visited sites include Amazon, Flipkart, Snapdeal, Olx, etc. Here are some tips that will help you stay safer when shopping online. Our State of the Mobile Web report helps us to understand your internet needs in a better way. And, we hope to live up to your expectations. After all, providing you the best internet experience is a top priority for us. Meanwhile, remember to join us on Twitter or Facebook to get all the latest updates from the world of Opera and all things web.